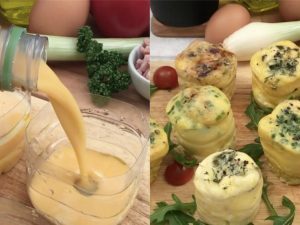 An easy and fast trick to prepare omelettes. 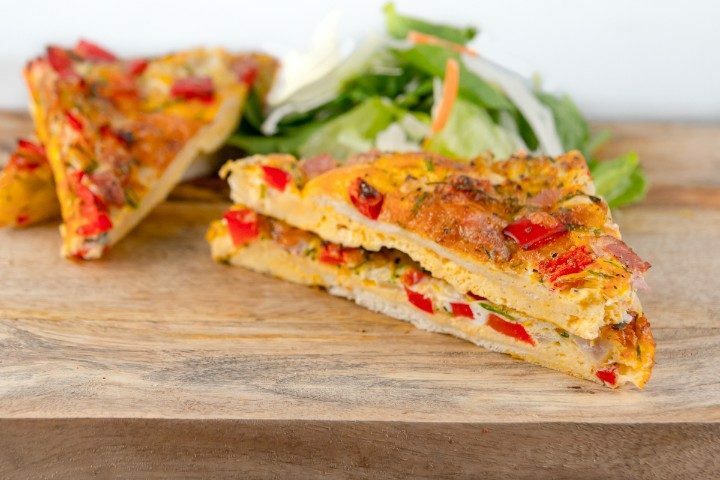 Do you need little omelettes for you guests? No problem, this advice is all you need! 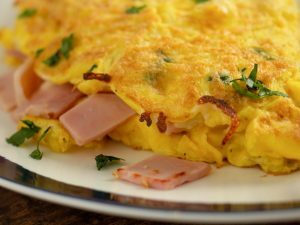 Ingredients: 10 eggs, olive oil, green pepper, chicken, bbq sauce, bacon, cheddar, parsley, salmon, mozzarella, dill, ham, red onion, paprika. Plastic bottles. 5) Empty the plastic cups and serve hot. Try also this baked version of omelettes. Ingredients: 1 Red Pepper, 1 Onion, 50g Ham (around three slices), 6 Eggs, 20g Chives (snipped), 50g Mozzarella Cheese, 50g Cheddar Cheese, 4 Slices of Bread. Dice your red pepper, onion and ham. Lightly beat together the eggs. Add in the pepper, onions, ham, chives and both types of cheese. Season with salt and pepper and mix together. Line a baking tray approximately 28cm by 23cm with baking parchment. Place 4 slices of bread in the base of the baking tray. Pour in your egg mix and bake in the oven at 180°C or 350F for 20-23 minutes. Allow to cool a little before cutting.